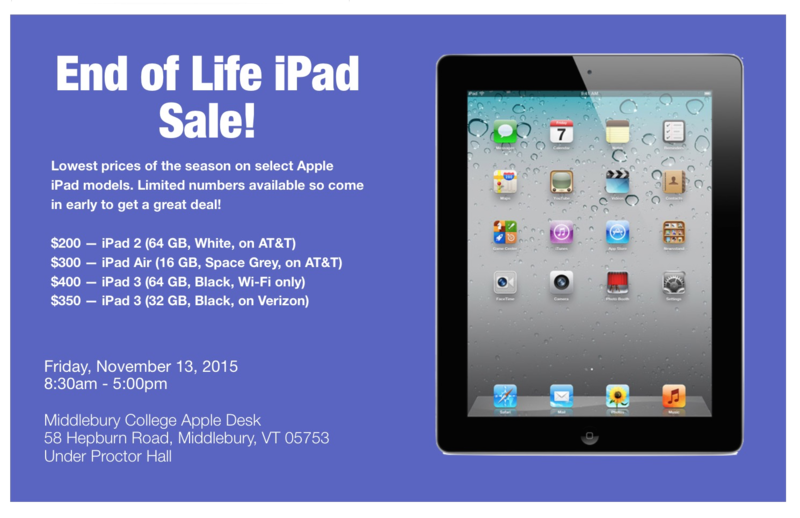 Last Day for iPad Sale! 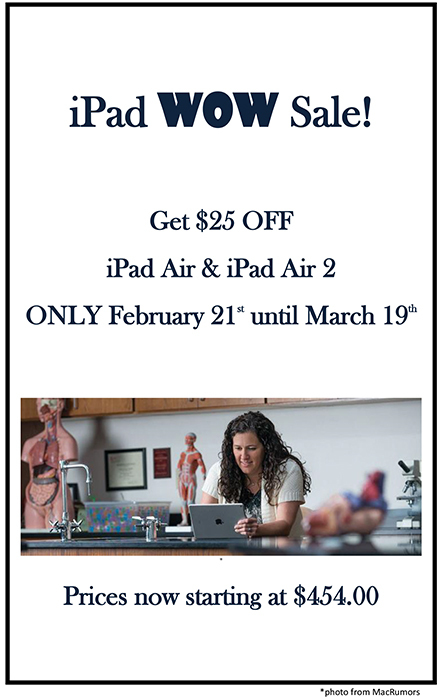 Today is the last day to get $25 off the iPad Air and iPad Air 2! 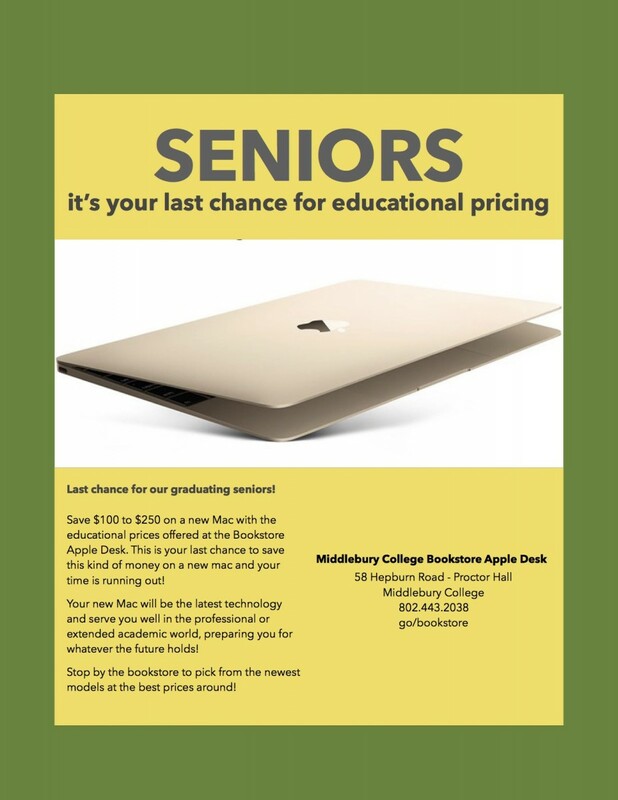 Stop by before 5 pm to get this great deal! 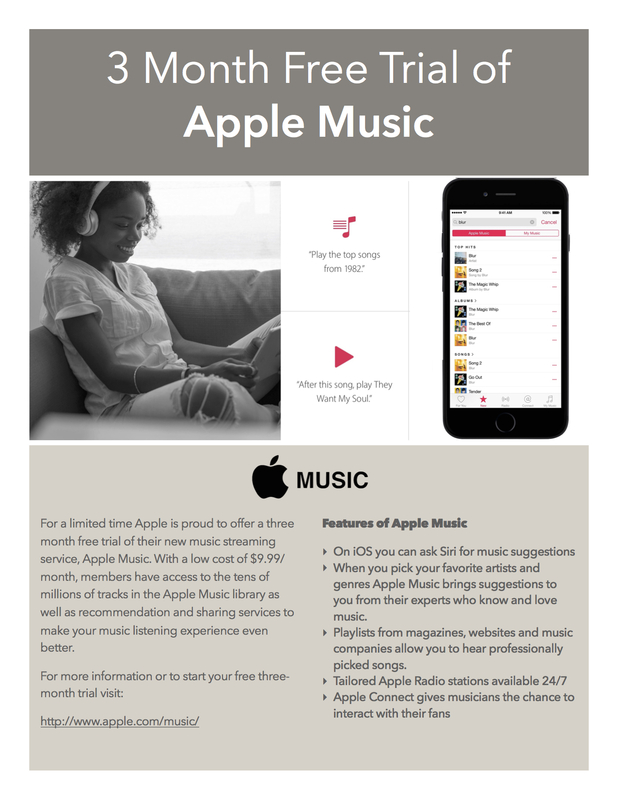 3 Month Free Apple Music Trial! Don’t let Friday the 13th get you down! 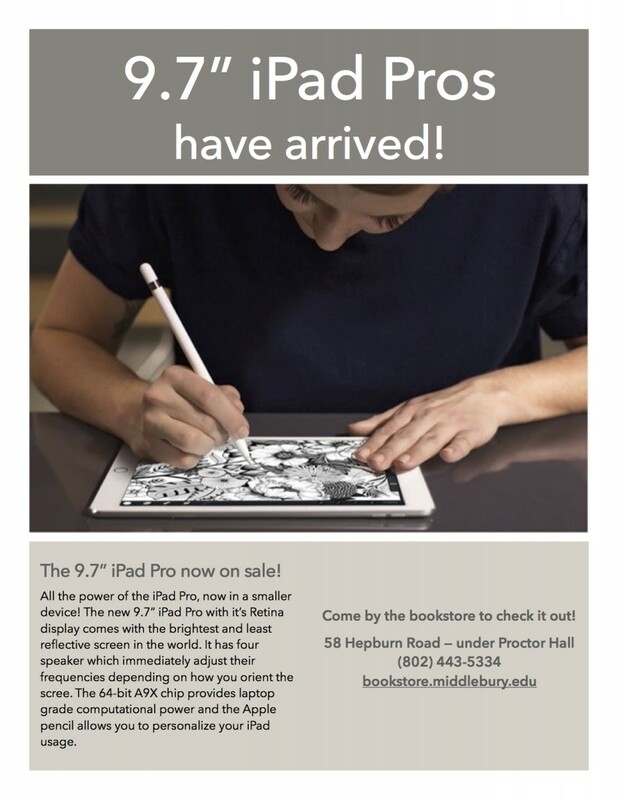 Come to the bookstore and get a new iPad for super cheap and turn your day around! 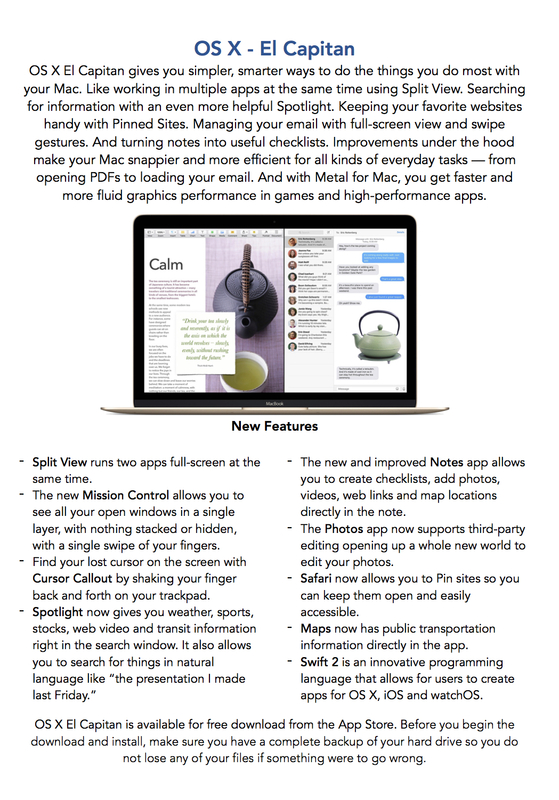 Learn more about the new OS X El Capitan! 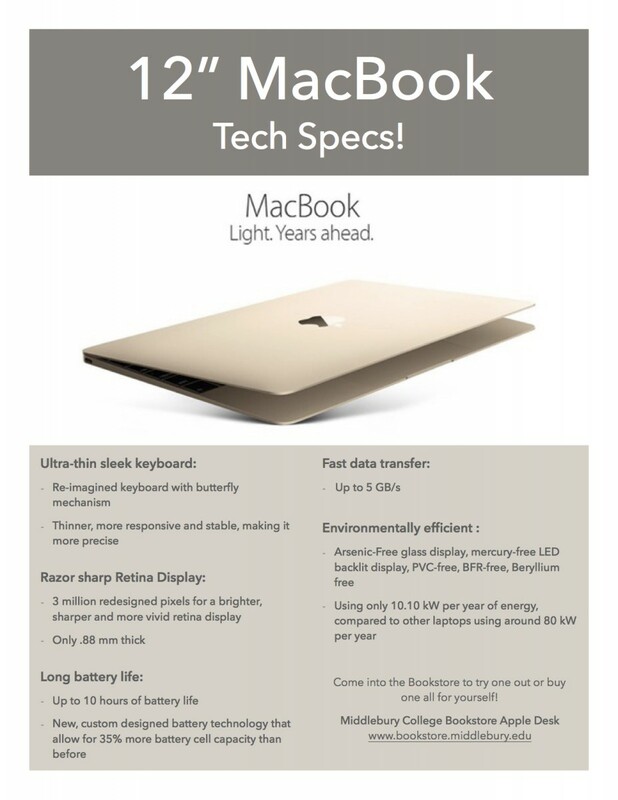 To learn even more, visit http://www.apple.com/osx/. For your computers safety, we suggest waiting until the next version of the software is available to download as the first version usually has some bugs that Apple fixes in the second and third version. 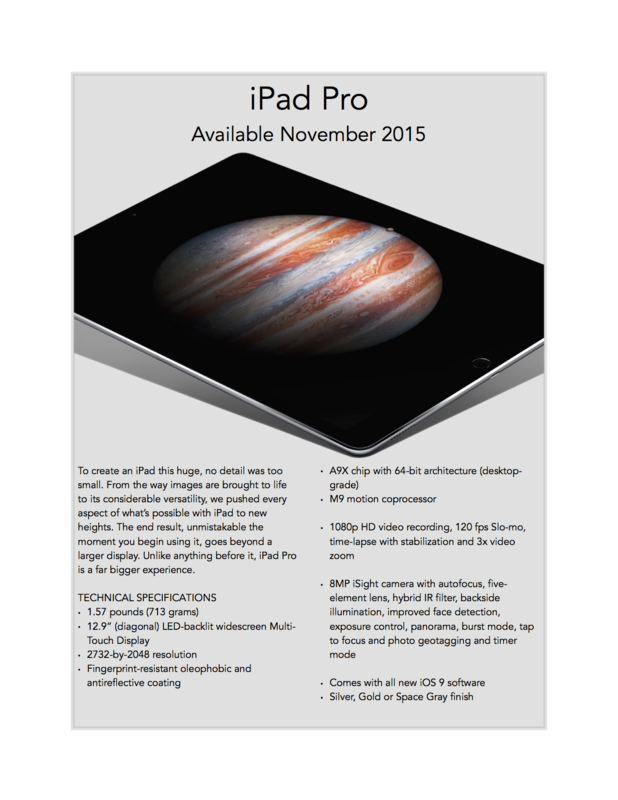 Learn about the new iPad Pro from Apple, coming to the bookstore in November!